The recipients of the email belonged to a listserv connected to the Committee for Open Research on Economy & Society (CORES). Founded by U of C faculty in 2008 to challenge plans for a Milton Friedman Institute, CORES was concerned with the “symbolic endorsement” by their employer given to the late economist’s politics. Neer signed a petition in opposition to the Institute, which blended with the Becker Center on Chicago Price Theory in 2011 to become the Becker Friedman Institute for Research in Economics. In his earlier duty as Statistical Control Officer for the 20th Air Force, Lt. Colonel McNamara measured the “efficiency” of napalming Japanese cities. The U.S. continued this tactic in Korea and later in Vietnam when McNamara served as Secretary of Defense. Napalm prototypes, Neer learned, were tested on campus less than a block from his office. So what leads a specialist in ancient Greek calyx-krater painters to circulate “a little dossier about the U of C’s role as one of the Army’s chief chemical weapons facilities during and after WW II”? Emailing from Paris, Neer explained that his brother Robert’s new book “Napalm: An American Biography” triggered his research foray. Robert Neer, author of “Barack Obama for Beginners” in 2008, teaches history at Columbia University. One of his seminars is “Empire of Liberty: A Global History of the U.S. Military.” He reports on “Anonymous Research Project No. 4” at his alma mater, Harvard University. In 1942, an organic chemist there perfected napalm and ignited it on the 4th of July in a soccer field behind the business school. 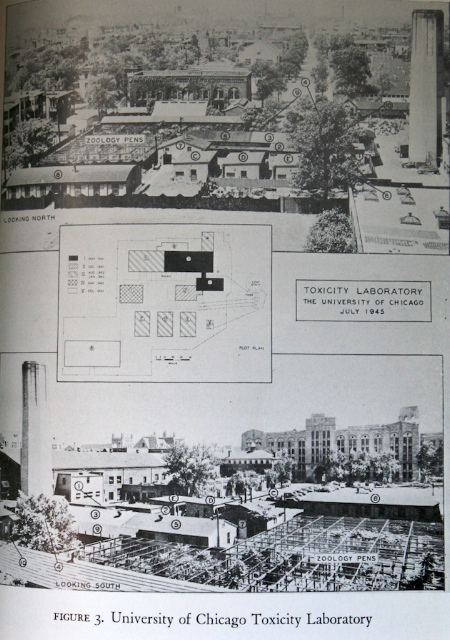 In 1941, the National Defense Research Committee launched the Toxicity Laboratory at the University of Chicago. Over the next four years some 1,700 synthetic chemicals were tested as potential weapons: sulfur fluorides, nitrogen mustards, arsenicals, sulfur mustards, aromatic carbamates, fluoroacetates and aliphatic nitrosocarbamates. Sources note “a sealed gas chamber facility was constructed” for “full body mustard gas testing” in 1945. Blistering agents were tested on recruits from the Great Lakes Naval Training Station. Postwar research turned to radiation poisoning. 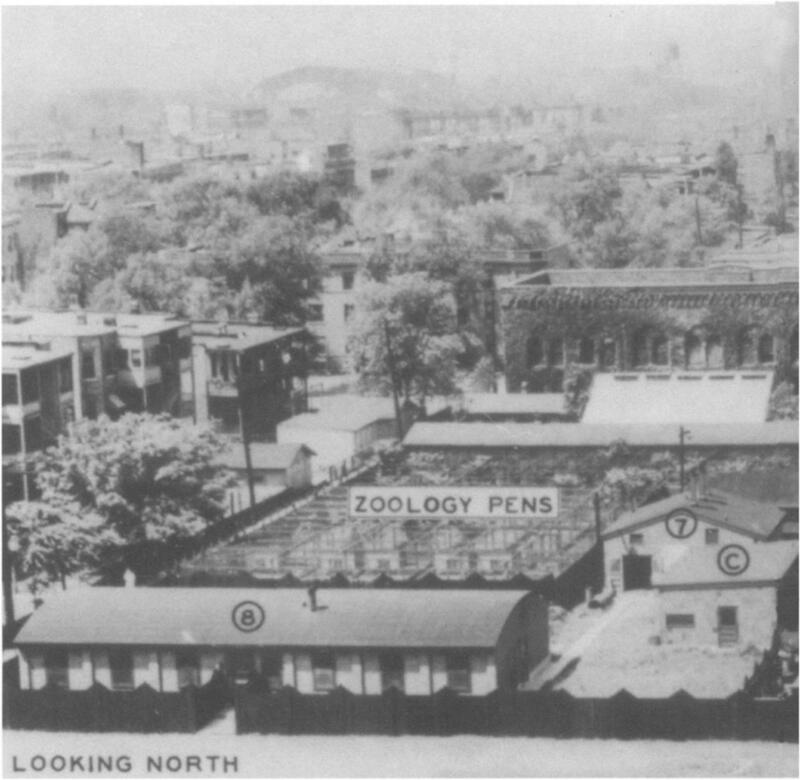 The “Tox Lab” became a part of the U.S. Army Chemical Warfare Service in 1945 and then contracted with the Atomic Energy Commission. In 1951 it morphed into the University of Chicago U.S. Air Force Radiation Laboratory and shut down around 1973. “I sat on the info for a while but the Syrian crisis made it seem urgent,” emailed Neer. Sarin, discovered by German chemists in 1938, was allegedly used by the Syrian army against rebels. In 1988 Iraq used it against Kurds and Iranians. “Although we Americans rightly demonize these weapons, we tend to overlook the fact that we pioneered their development,” explained Neer. The U of C had also participated in chemical-weapon research during World War I. Despite the “Protocol for the Prohibition of the Use in War of Asphyxiating, Poisonous or Other Gases, and of Bacteriological Methods of Warfare” in 1925, American universities continued research into incendiary gels and nerve gas.